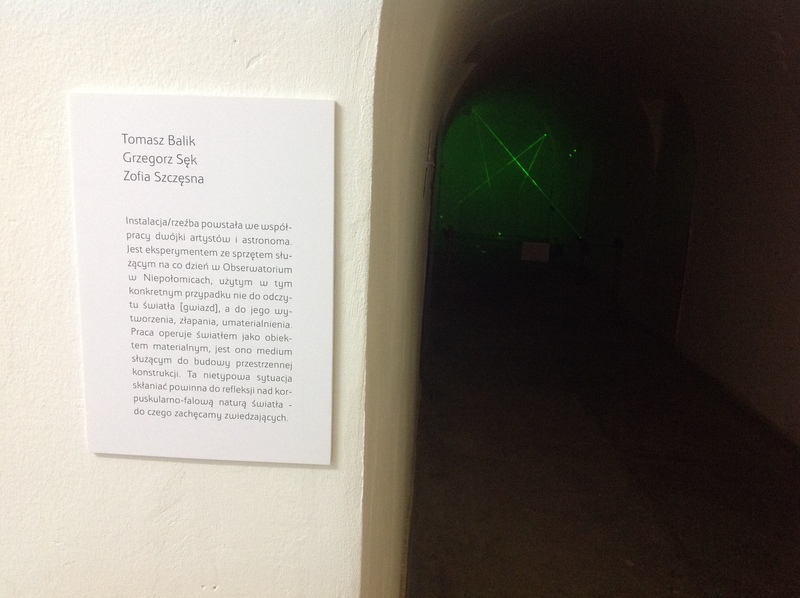 The installation was made by me, Tomasz Balik (an artist) and Grzegorz Sęk (an astronomer from Youth Observatory in Niepolomice) as one of the events during Science Festival in Krakow. 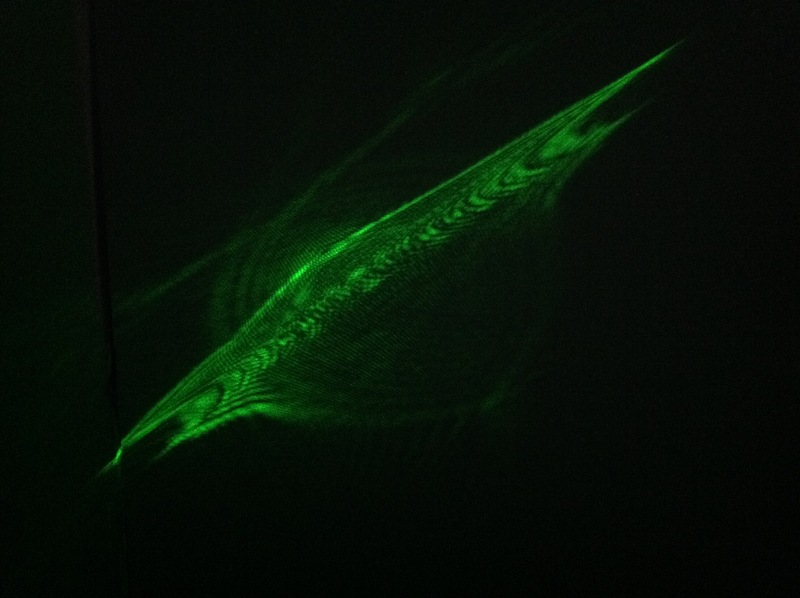 The year 2015 was dedicated to light, and so was the whole Festival. 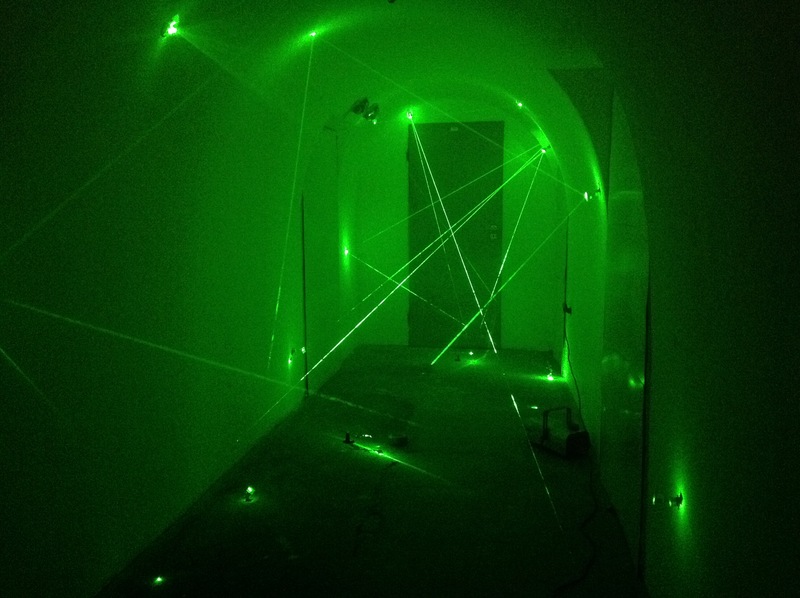 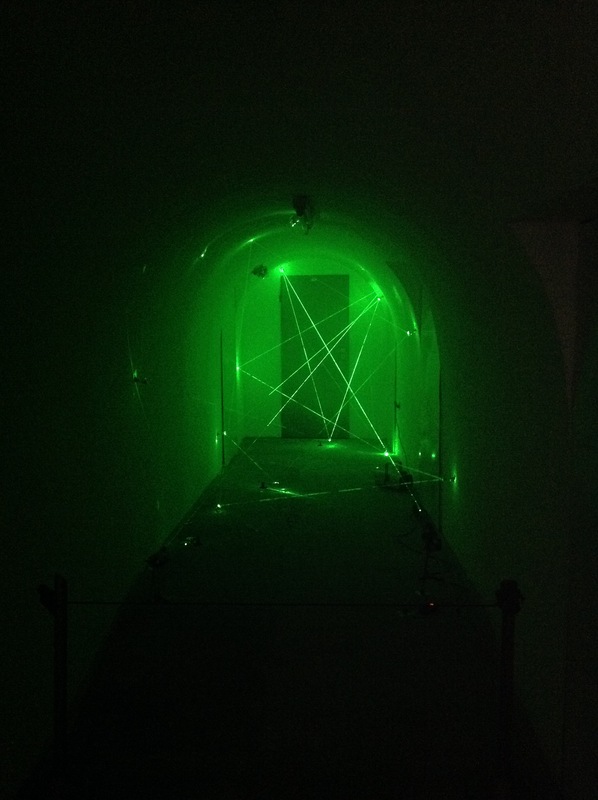 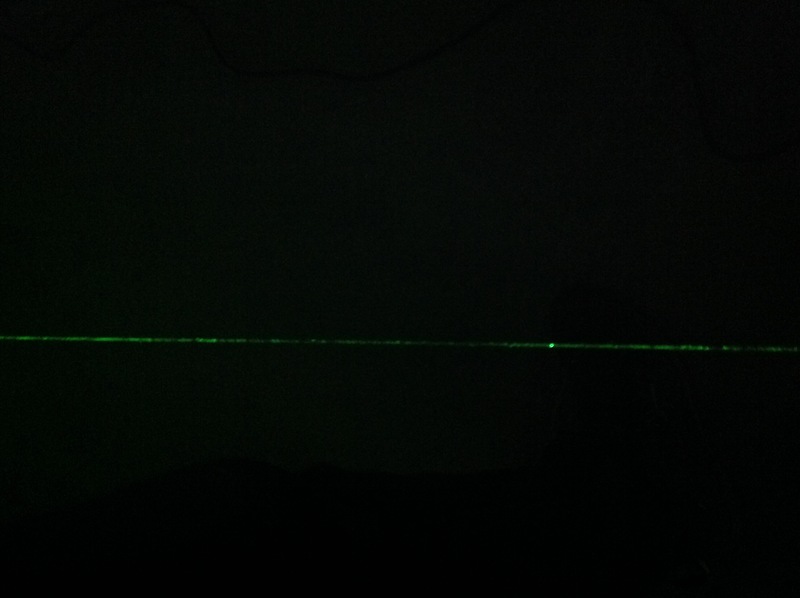 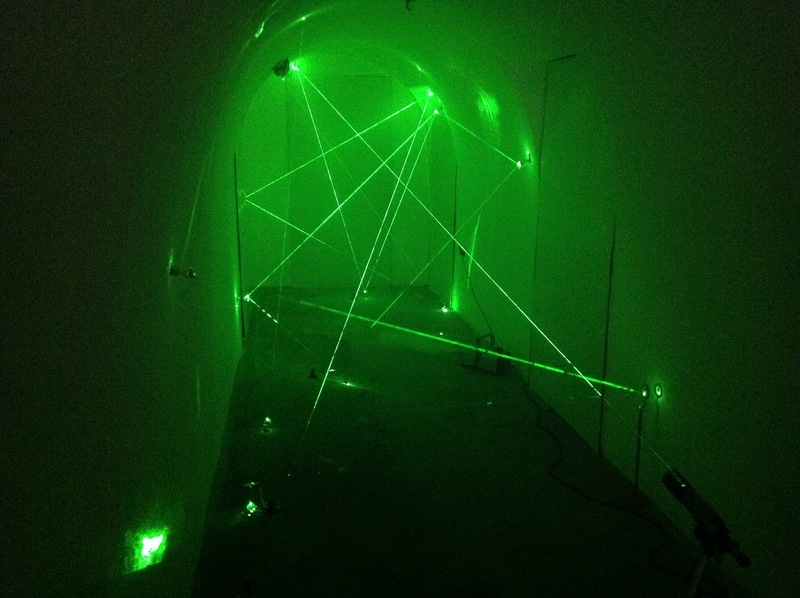 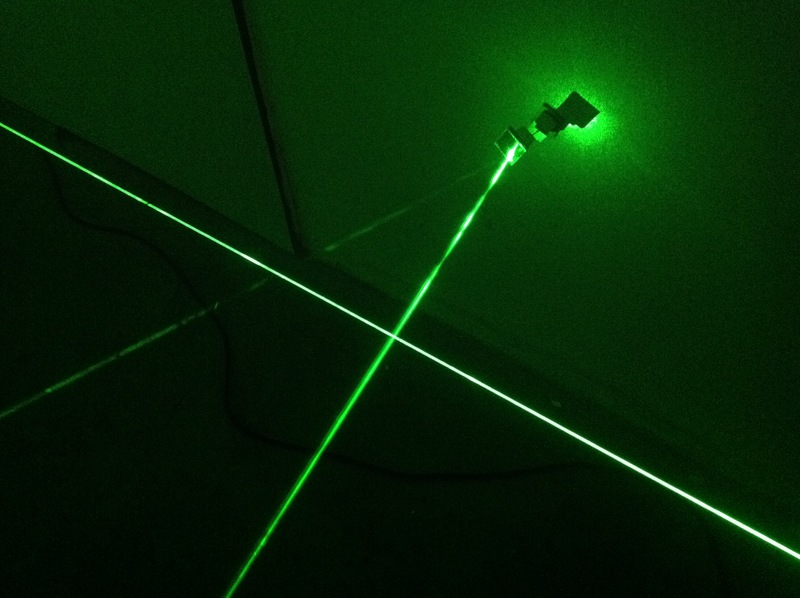 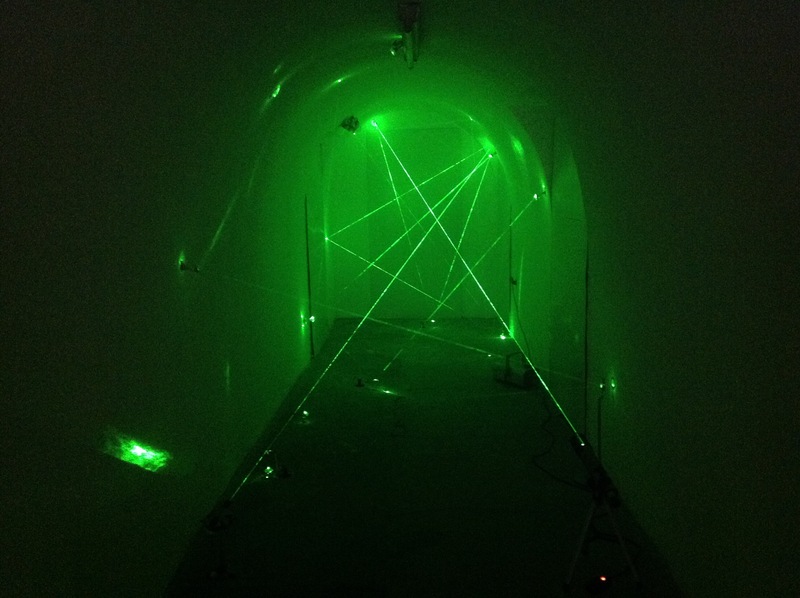 In our work we used green laser light (two sources) and fumigation machine to create almost material object. 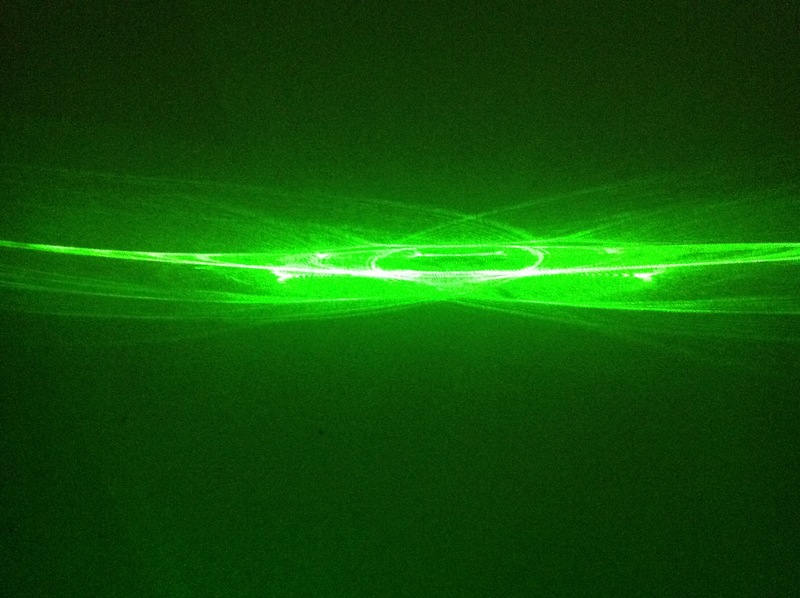 This way we intended to demonstrate a way of contemplaiting the corpuscular-wave nature of light.